The Freenotes instruments played on this recording are designed to facilitate improvisation. All selections on this CD were recorded live during two three-day sessions and were totally improvised by a group of persussionists who had never played together before. Many of the musicians had not seen the instruments prior to the first session. 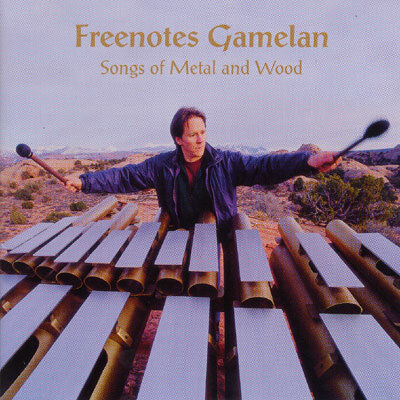 Named the Freenotes Gamelan, acknowledging their ancestry in Balinese gamelan orchestras, they are mallet percussion instruments with bars made of steel, aluminum and various woods tuned to western scales. Built by Richard Cooke, they represent over 15 years of research and development in their design and production. Please check out the Freenotes instruments in our Tuned Percussion section.